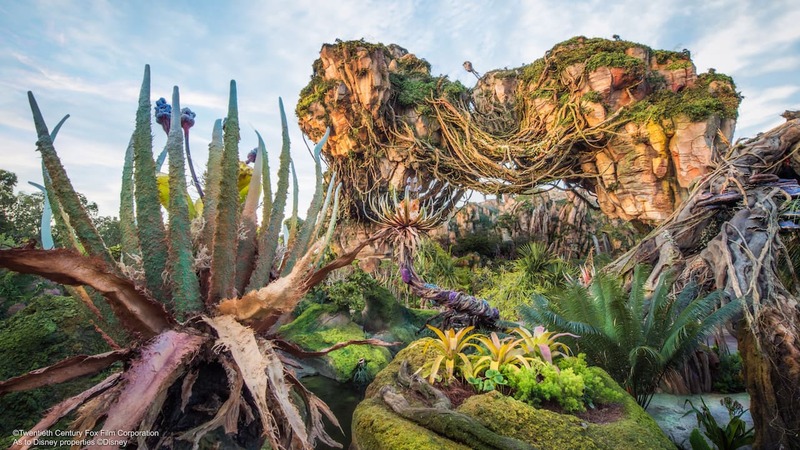 Regular readers of the Disney Parks Blog probably don’t need any introduction to the Featured Artist of this year’s Epcot International Festival of the Arts. For more than 20 years, Greg McCullough has brought joy to the hearts of Disney fans by drawing and painting Disney and Disney•Pixar characters, starting with the then-Pixar Studios in 1995 and moving into character art and graphics for Disney Parks and Resorts in 2007. As this year’s Featured Disney Artist, Greg created the official festival poster, a tribute to Epcot’s 35th Anniversary. 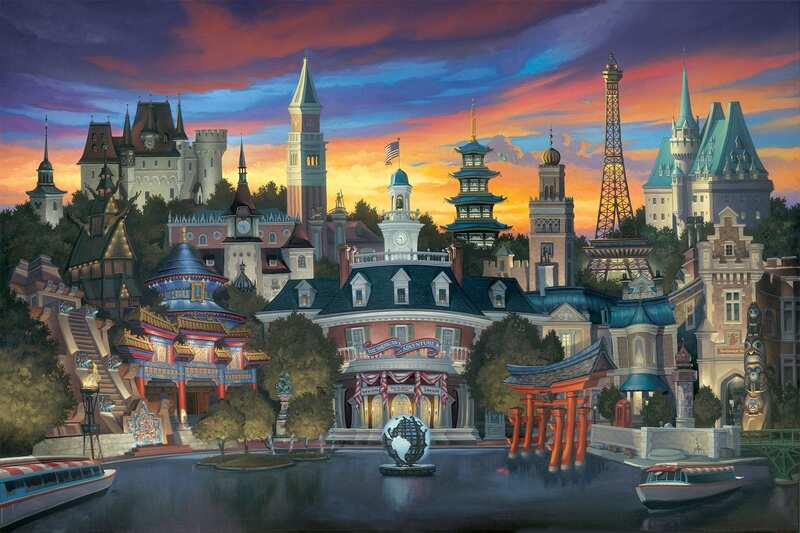 The masterpiece contains 13 country icons from World Showcase and – if that weren’t enough – 35 Hidden Mickeys. Can you find them all? Greg’s career at Disney Parks has included such varied projects as creating the official Disney Parks “dated” logo in 2009 and official posters for Star Wars Weekends at Disney’s Hollywood Studios. In addition to being among the artists scheduled daily at this year’s festival, Greg is showing his work in displays at The Art of Disney stores around Walt Disney World Resort, Disneyland Resort and on the Disney Cruise Line ships. “My goal is to create works of art that allow visitors to take a bit of the magic home with them,” Greg says. And I think he’s more-than-achieved that! The list of hidden images was going to be published, where is it? I purchased a print while on my recent visit. As well as the 35 hidden Mickey’s, there are 5 characters and 18 Epcot Icon images, a total of 58 hidden images. I’ve found 40 so far! Are the miscellaneous characters hidden in there (i.e. Olaf, Figment, etc) being counted as ‘Hidden Mickeys’ as well or are there 35 actual Hidden Mickeys? I have found 30 Mickeys and if you count the miscellaneous stuff it adds up to 35…. Do you know if the poster will be available on the Shop Disney Parks app or the shopDisney site? I’d love to purchase one, but can’t make it to the festival this year.